Whether your window is broken due to wear and tear, accidental damage, vandalism or a break in we can provide high quality repairs. We can repair or replace misted or fogged window panels, reviving your existing windows with minimal disruption. We can repair or replace broken PVCu frames and sills. We use local suppliers making this a quick and easy process. If you have a broken window or need advice on any window related issues then please get in touch. PJS Windows are highly skilled and can easily carry out any window or door repairs. We can repair or replace single panes or entire units. We can also fix or replace handles, hinges, fitments, casings, seals and gaskets. We can also look at the cause of draughts and try to correct the problem. We are highly skilled at fixing the problem of misting and fogging within a double glazed unit. Often a repair can work out much more economical than replacing a window or door and causes minimal disruption within your home. 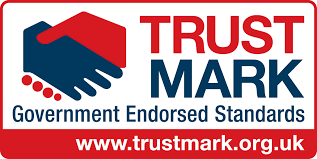 The business registered meets the requirements of the TrustMark scheme in relation to complaints handling, issuing of consumer contracts, liability insurance requirements, guarantee issue and workmanship. © 2019 PJS Windows. All Rights Reserved.